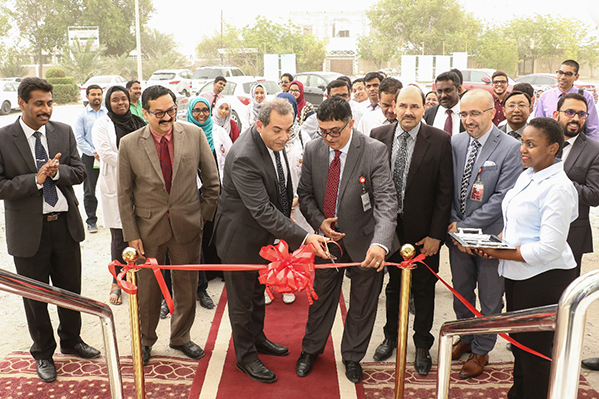 Thumbay Pharmacy, one of the fastest-growing retail pharmacy chains in the UAE operated by Thumbay Group, has tied-up with the College of Pharmacy, Gulf Medical University, for teaching and training the graduates of the Doctor of Pharmacy (PharmD) course. 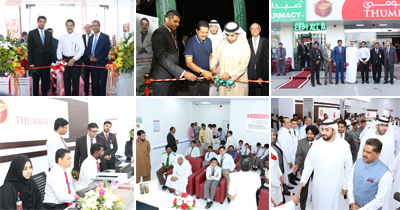 Furthermore, graduates of the College of Pharmacy will be given priority for employment, across the numerous outlets of Thumbay Pharmacy across the UAE and in India. 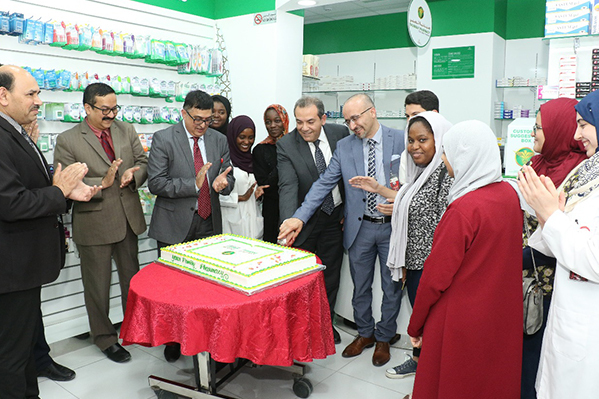 As part of the tie-up, a new outlet of Thumbay Pharmacy was inaugurated at Thumbay Medicity, Al Jurf, Ajman on 13th May 2018. 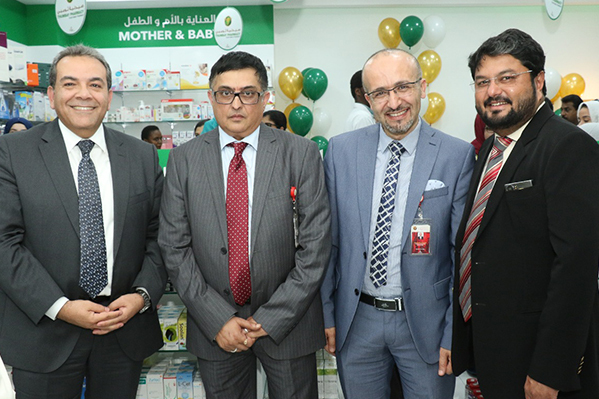 The pharmacy outlet was inaugurated by Dr. Sherief Khalifa – Dean, College of Pharmacy, Gulf Medical University (GMU), in the presence of members of Thumbay Group Board. 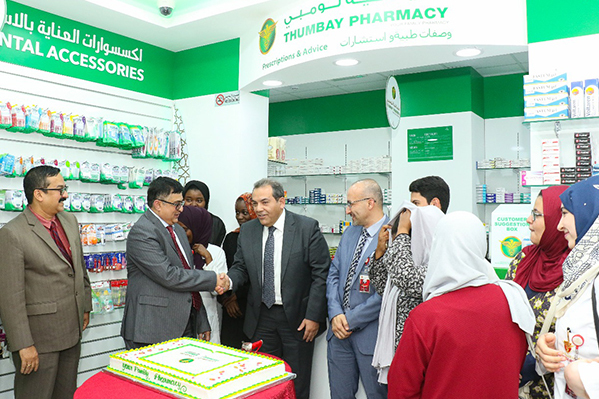 Speaking at the inaugural function, Dr. Sherief Khalifa said, “We are excited about the new pharmacy at Thumbay Medicity. Being part of the Gulf Medical University Academic Health System (GMUAHS), the Thumbay Pharmacy chain benefits from experienced pharmacy practitioners and up-to-date pharmacy professors. They also serve as prime training sites the Doctor of Pharmacy (PharmD) students of the College of Pharmacy, GMU, in their community pharmacy rotations. Our aspiration is to take advantage of the Academic Health System, to take community pharmacy in the UAE to a higher level and align with international best practices.” He also thanked Dr. Thumbay Moideen, the Founder President of Thumbay Group, for the decision to give priority to PharmD graduates of the College of Pharmacy, for employment in Thumbay Pharmacies. 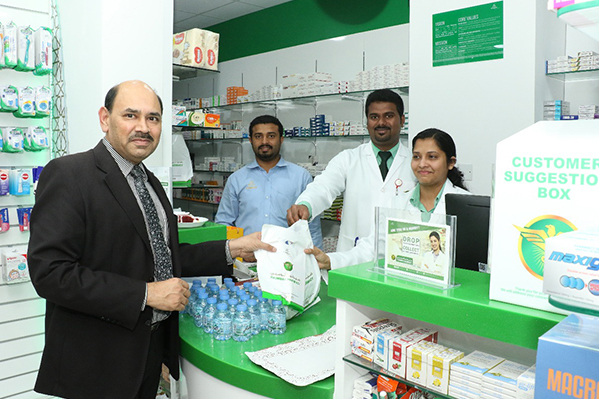 Dr. Thumbay Moideen said that the newly opened outlet was the latest addition to the pharmacy chain, in accordance with Thumbay Group’s expansion plans. “As per our strategic plans, we plan to have 100 Thumbay Pharmacy outlets worldwide, by 2022,” he added. The new Thumbay Pharmacy will offer the complete range of medicines, medical equipment and rehabilitation care products. Well-experienced and attentive pharmacists with a friendly attitude will serve the customers. “Thumbay Pharmacies offers an extensive range of medicines and products, making it possible for customers to find all their medication needs under one roof. Its well-planned and properly implemented medication management system supports patient safety and improves the quality of care,” said Mr. Akbar Moideen Thumbay. Thumbay Medicity also houses the region’s leading private medical university – the Gulf Medical University, the biggest and most advanced hospital for physical therapy and rehabilitation – Thumbay Physical Therapy and Rehabilitation Hospital, the first private dental hospital in the country and the largest academic dental hospital in the Middle East region’s private sector – Thumbay Dental Hospital. 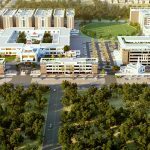 A 500-bed academic hospital – Thumbay Hospital, the largest private academic hospital in the region – is at the final stages of completion at Thumbay Medicity, slated to open shortly. Thumbay Medicity also houses Body & Soul Health Club and Spa, The Terrace Restaurant, Blends & Brews Coffee Shoppe etc. Thumbay Group plans to open at least six more Thumbay Clinics and several more pharmacies as part of the expansion plans this year. 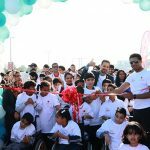 Clinics and pharmacies are at various stages of development in locations including Deira Waterfront, Dragon Mart and Bur Dubai in Dubai and Abu Shagara and Rahmaniya Mall in Sharjah. Thumbay Pharmacy has been delivering excellent health care solutions in the UAE for close to two decades, now. It has entered the Indian retail pharmacy sector with outlets in Hyderabad. Driven by the motto, “the right medication at the right time”, Thumbay Pharmacy serves patients round-the-clock, with a wide range of medications from reputed pharmaceutical companies dispensed by experienced pharmacists. 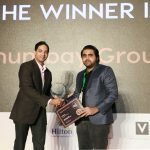 With presence throughout the UAE, the network of Thumbay Pharmacies has earned the reputation of offering a diverse range of products and hassle-free customer service. A unique feature of Thumbay Pharmacy is that the patients are allowed to freely interact with pharmacists regarding the proper usage of medication in terms of dosage, route of administration, adverse effects, precautions etc. The pharmacy considers it the prime duty of the dispensing pharmacist to counsel the patient or the caretaker on all aspects of medication therapy. Drug evaluation and selection, safety evaluation and medication therapy management are all undertaken by the Clinical Pharmacist, to coordinate and provide optimum therapy to the patients for speedy recovery. Gulf Medical University’s College of Pharmacy offers the Pharm D program of five academic years’ duration, which includes one year of Advanced Pharmacy Practice Experience (APPE). The Pharm D program prepares students to become competent pharmacists with a solid foundation in biomedical sciences, an in-depth understanding of pharmaceutical sciences and advanced pharmacy practice and clinical pharmacy skills. Students are exposed to the practice of community pharmacy in retail pharmacies and complete hospital postings in different medical specialties as part of their clinical experience. GMU’s well-equipped Centre for Advanced Simulation in Healthcare – a complete simulated hospital setting to learn and practice clinical skills in a safe environment, helps students build their confidence to face patients during real life, in clinical posting. Moreover, the Gulf Medical University Academic Health System has its own network of hospitals and pharmacies where the students’ clinical training is organized and supervised by experienced medical and pharmacy practitioners. Owned and run by Thumbay Group, GMU is one of the leading medical universities in the region.